Starting as a sole trader electrician over 30 years ago, RamCo Electrical Ltd has expanded with a range of disciplines from fire & security to multimedia applications to become a ‘one stop wiring shop’ for domestic, industrial and commercial clients. 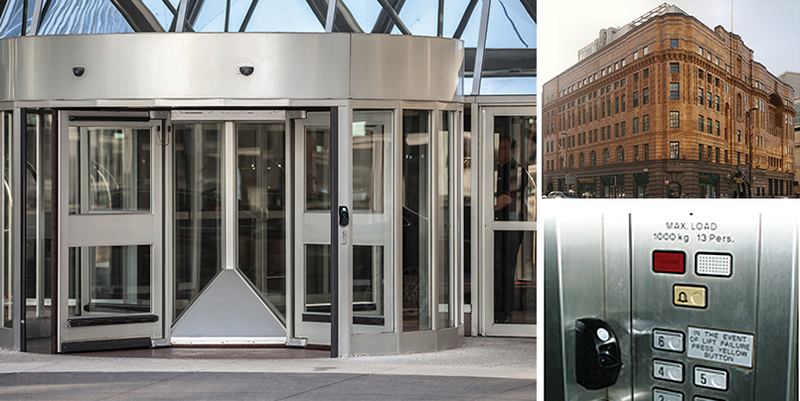 Paxton access systems with the ievo fingerprint technology have become a large part of RamCo’s installation portfolio throughout the North of England. It was therefore no surprise that when their client, St. George’s House, came to RamCo with an access control problem they were recommended the ievo fingerprint readers. The previous access system consisted of a card based access control system. The system needed replacing for several reasons including the lack of a computer based server set up. This meant that the recording of access events was via printout only. With the vast number of daily events within the building the storage of the printouts was a significant problem. The new ievo system involved 12 ievo micro units used internally and two of the more robust ievo ultimate readers used externally. The readers were installed at three points across the building; at the server, at the main reception desk and within a tenants’ suite. Through a custom designed lift interface board, the ievo micro units were integrated within the lift cars allowing users access only to the floors where they worked. The user enters the lift and selects the floor they wish to gain access to. Before the lift can operate the user is required to place their finger on the ievo reader to confirm their access rights. Once the reader has authorised the print the user is then taken only to the floor they are permitted to access. The new fingerprint system was recommended to solve the common problems of card access control. St. George’s House found that tracking access and cards was difficult as staff would swap cards and past employees would fail to hand in their cards. Another problem was that cards often had to be replaced due to staff losing their cards or cards breaking due to their brittle nature. The system also proved highly unreliable with cards taking several reads to permit access. The new system has proved highly successful solving all the previous system’s problems. When employees leave or join a business within the building their prints are simply removed from or added onto the database, omitting the hassle of collecting old or issuing new cards. The system also targets the problem of tracking access within the building as there are no lost cards or staff swapping. This again increases the businesses’ security. The customer designed lift system adds a further level of security.